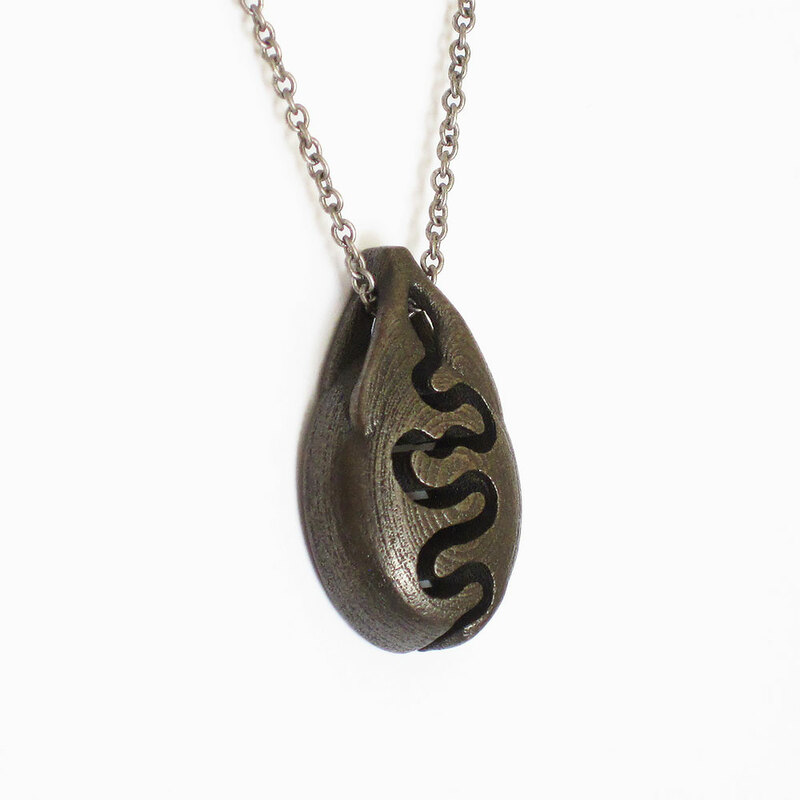 'Currents’ is a unique pendant necklace inspired by waves & the ocean. 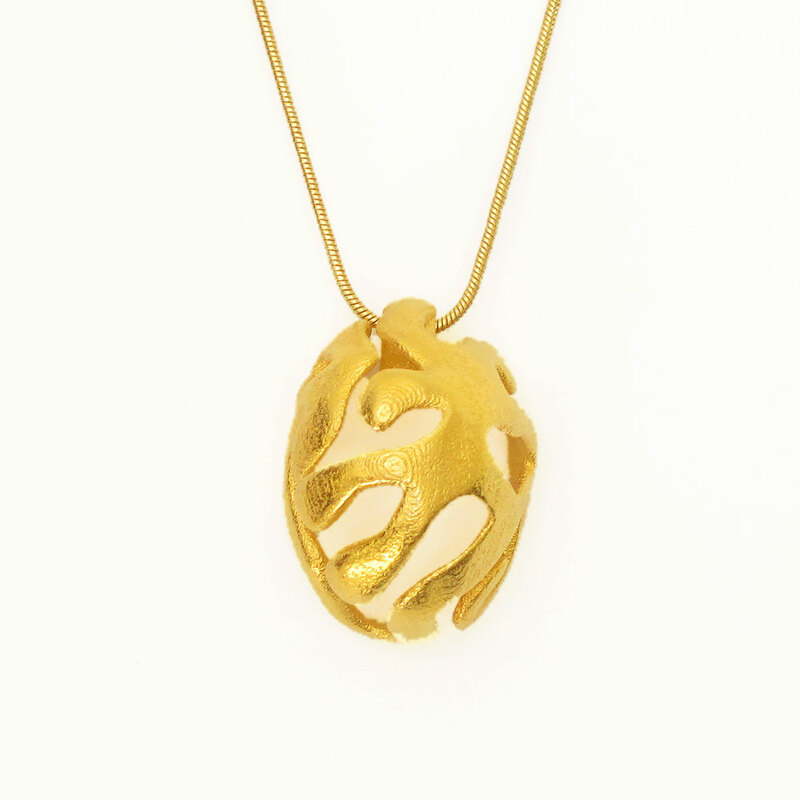 Order this beautiful pendant to bring a piece of nature with you everywhere you go. 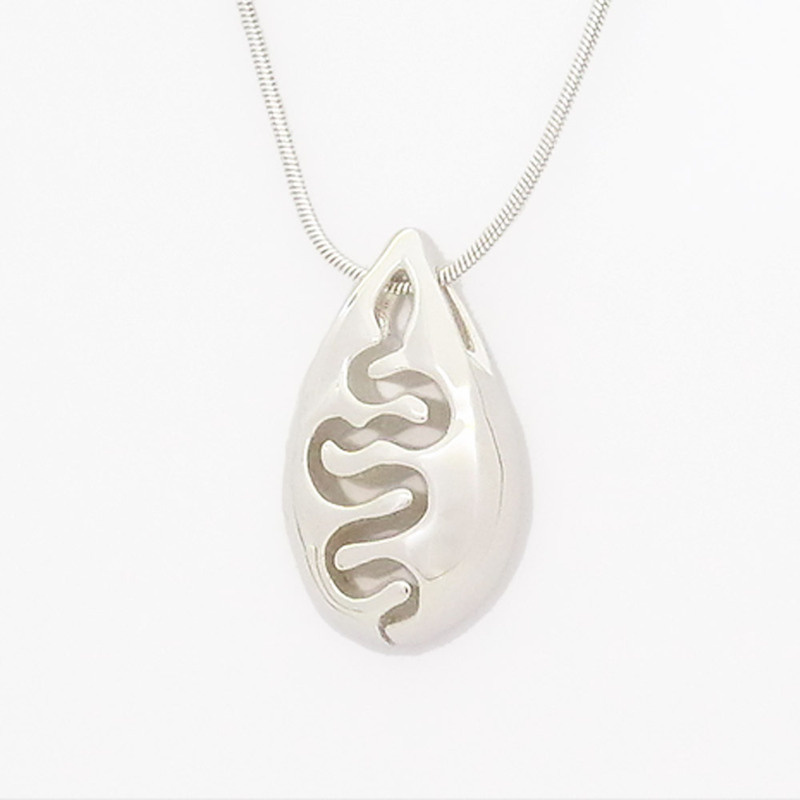 Pendant necklaces inspired by nature: the river in ‘Remains’ snakes elegantly through the piece adding grace and style. 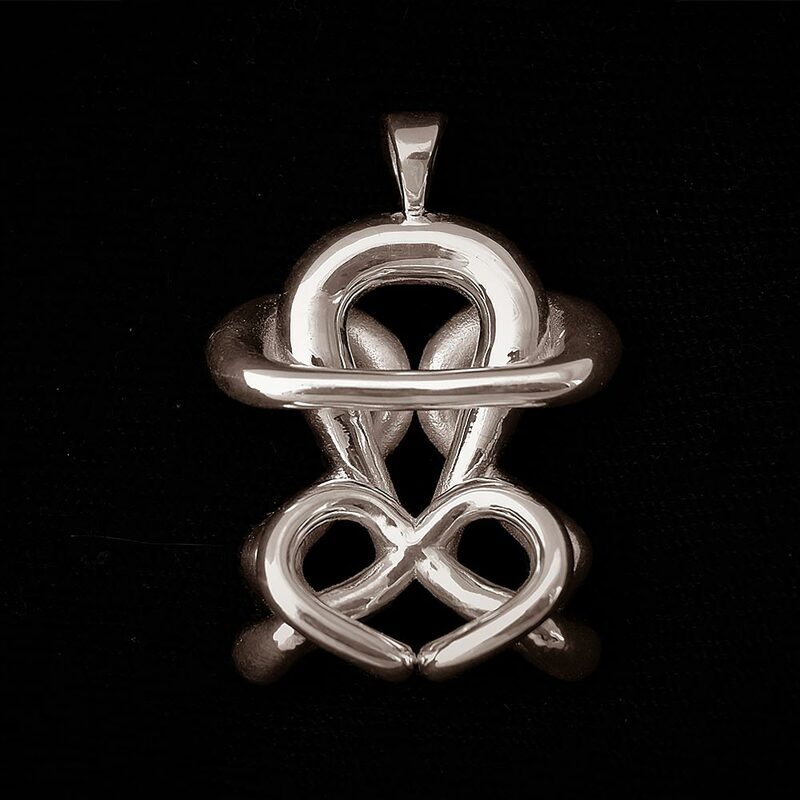 Wear this beautiful piece alone or pair it with your other favorite pendants. 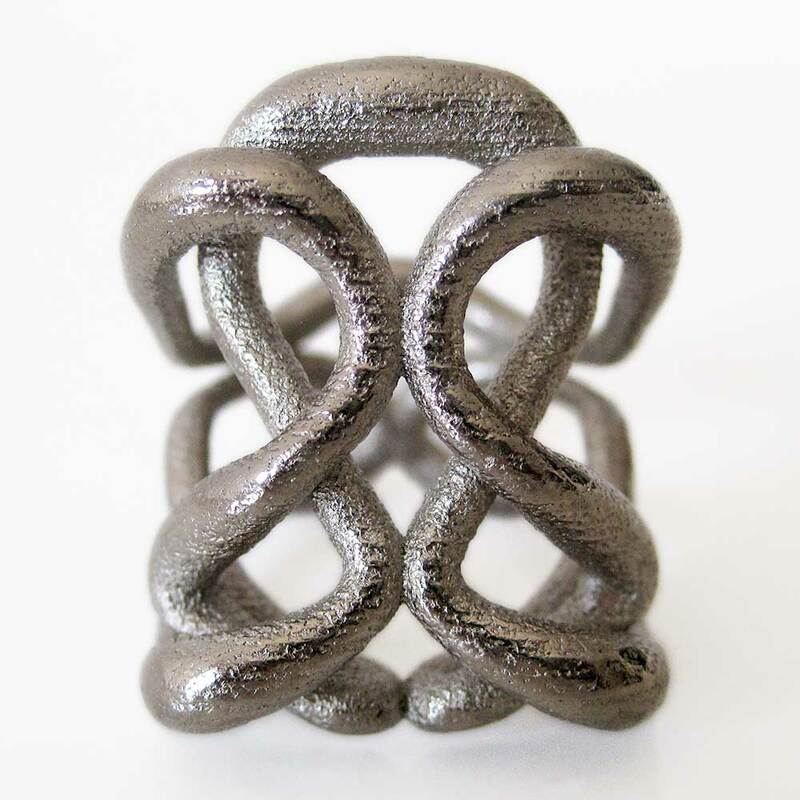 This contemporary infinity ring is truly unique. 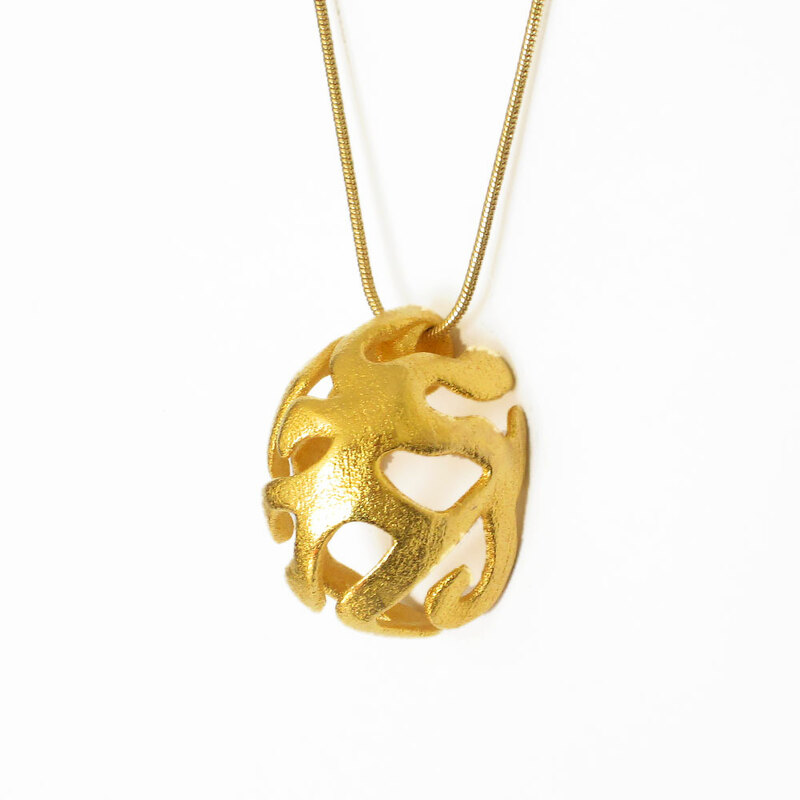 Here the iconic symbol is reshaped into an intriguing form that reflects the complexities of the wearer. 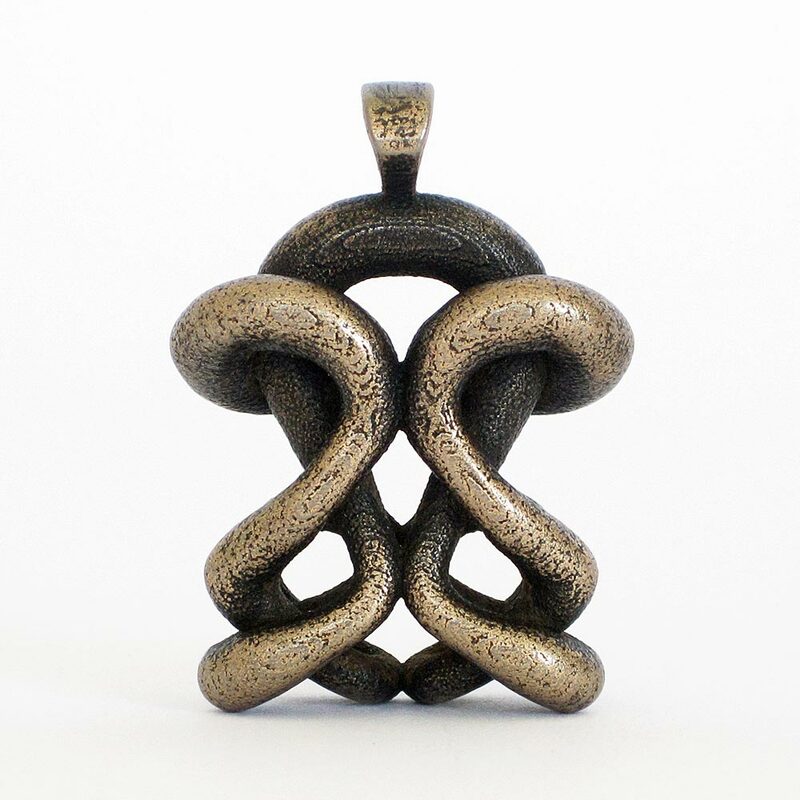 The Sloris One Infinity necklace is a beautiful piece of wearable art. 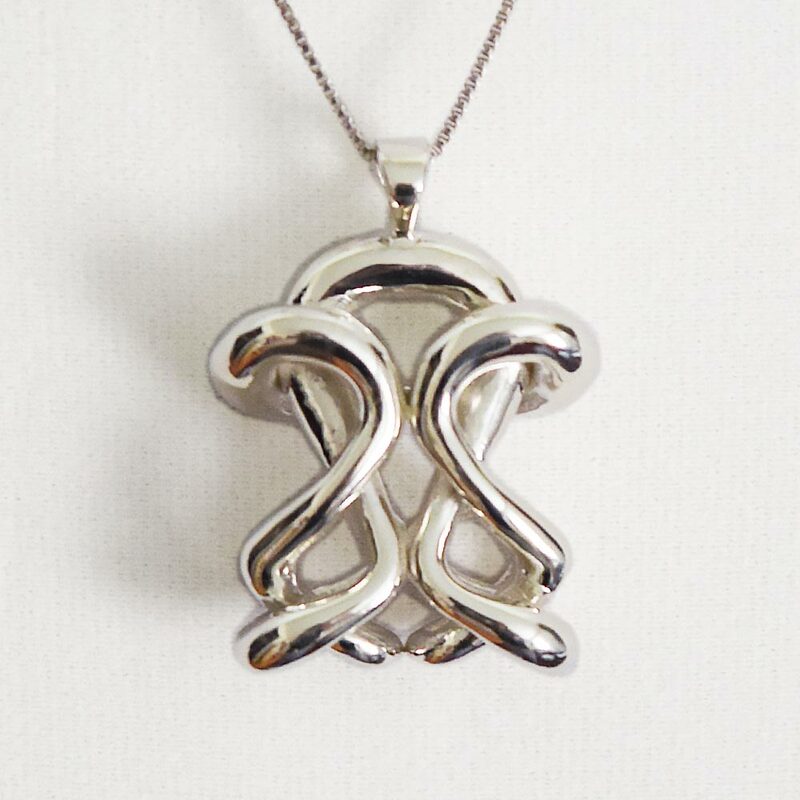 This silver statement necklace will add drama and style to your wardrobe. 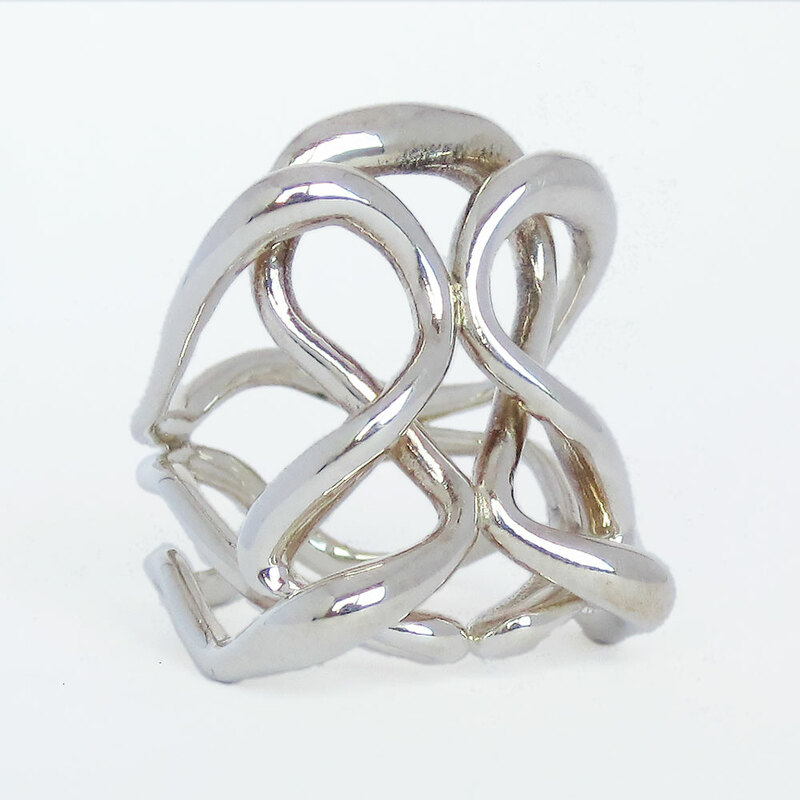 Unique silver rings are the perfect accessory for any outfit. 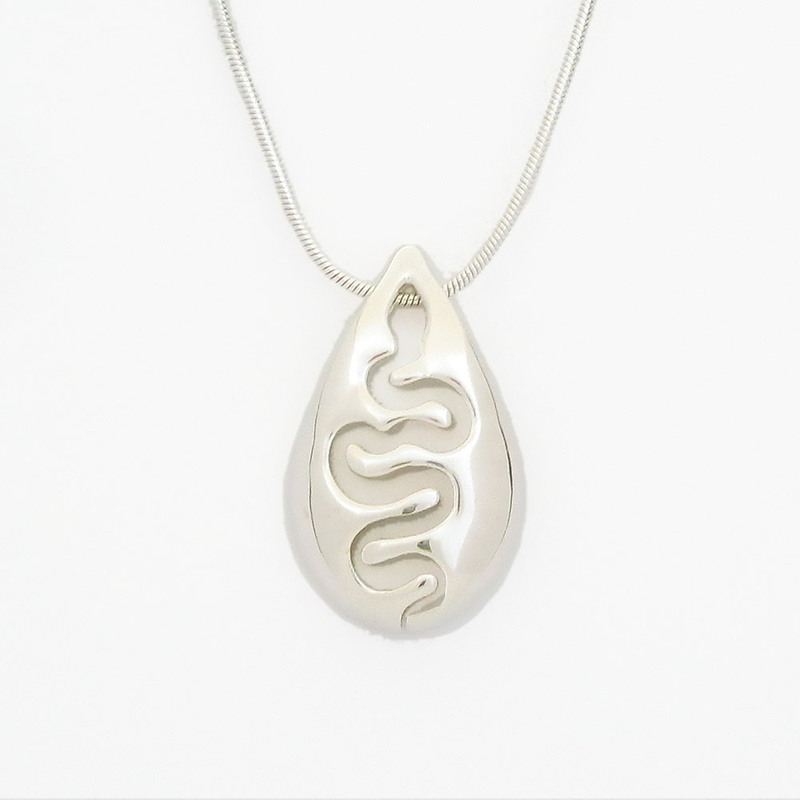 Wear ‘Remains’ and carry the feeling of flowing rivers with you as you make your way through life. 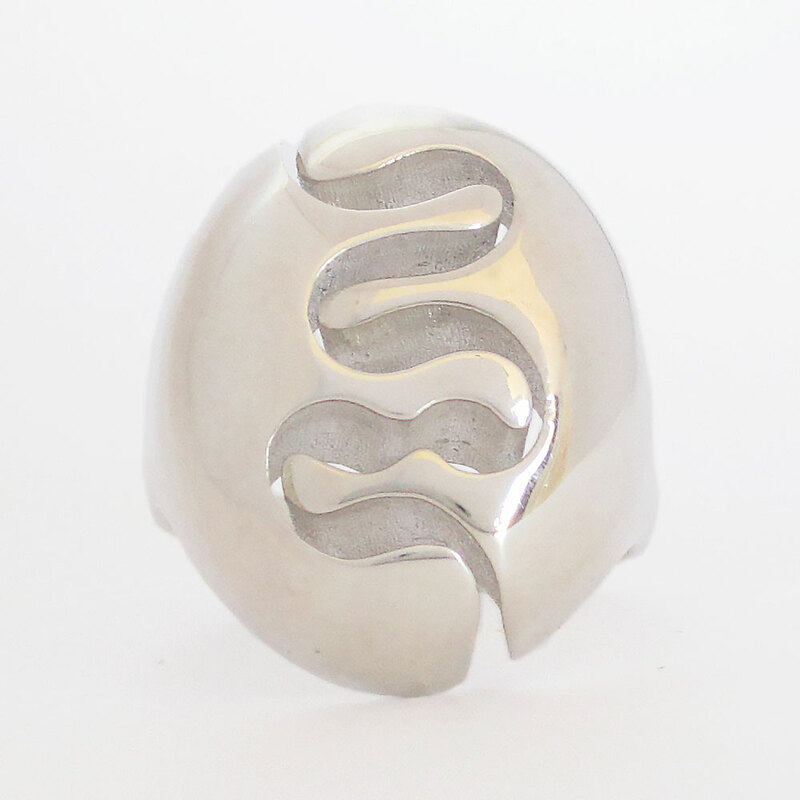 ‘Currents’ is from our unique silver rings collection. 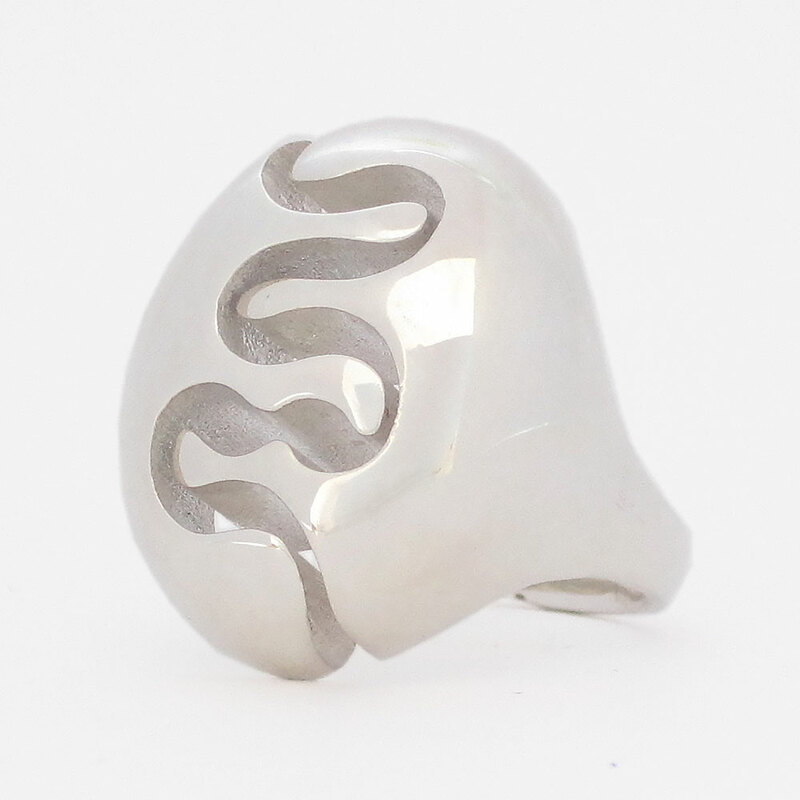 Wear this beautiful wave ring and put the power of the ocean on your finger. 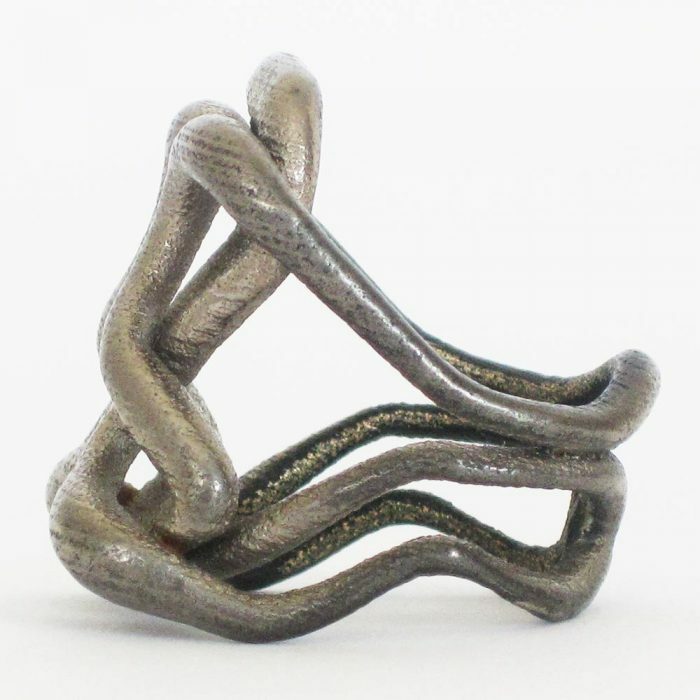 'Submerged' is from the Sloris collection of unique nature rings. 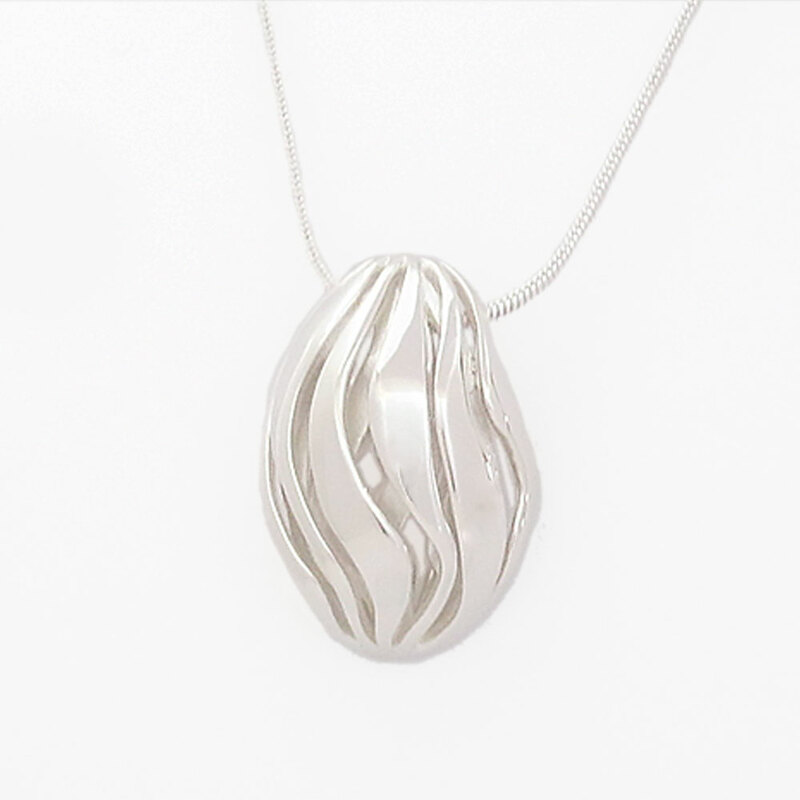 It merges the majestic natural beauty of the ocean with contemporary jewelry design. 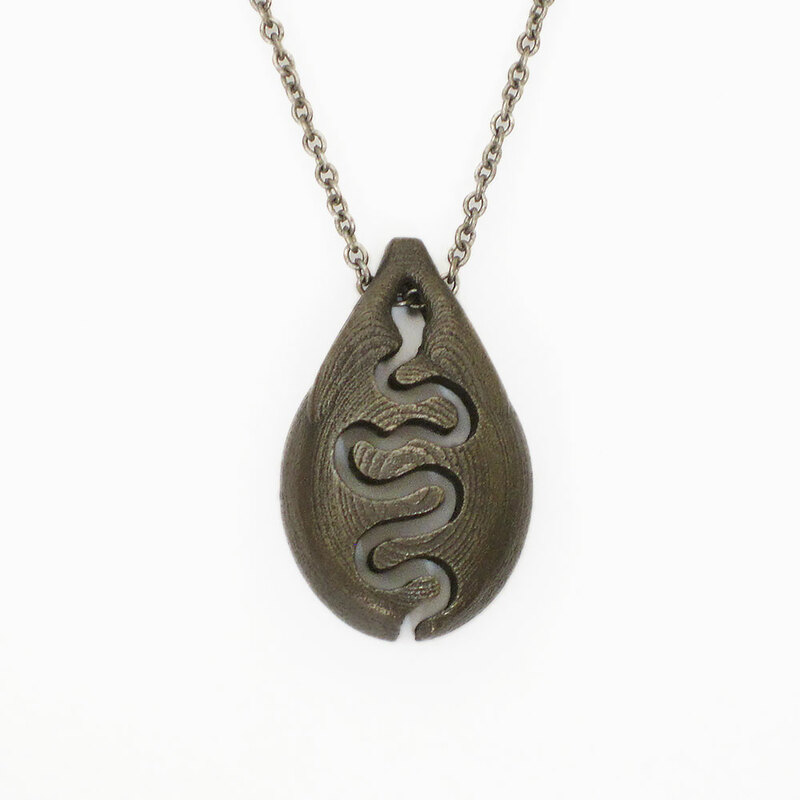 The ‘Submerged’ nature pendant necklace is a striking piece that depicts what’s beneath the surfaces of rivers, seas and oceans. 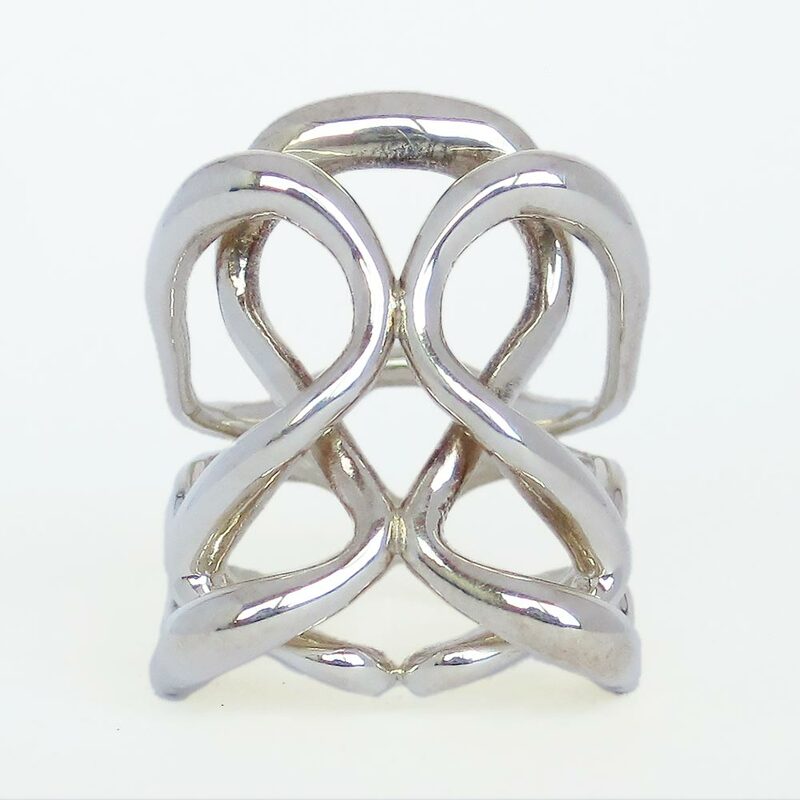 Infinity rings are always popular, but they've never been as unique and fashionable as this piece. 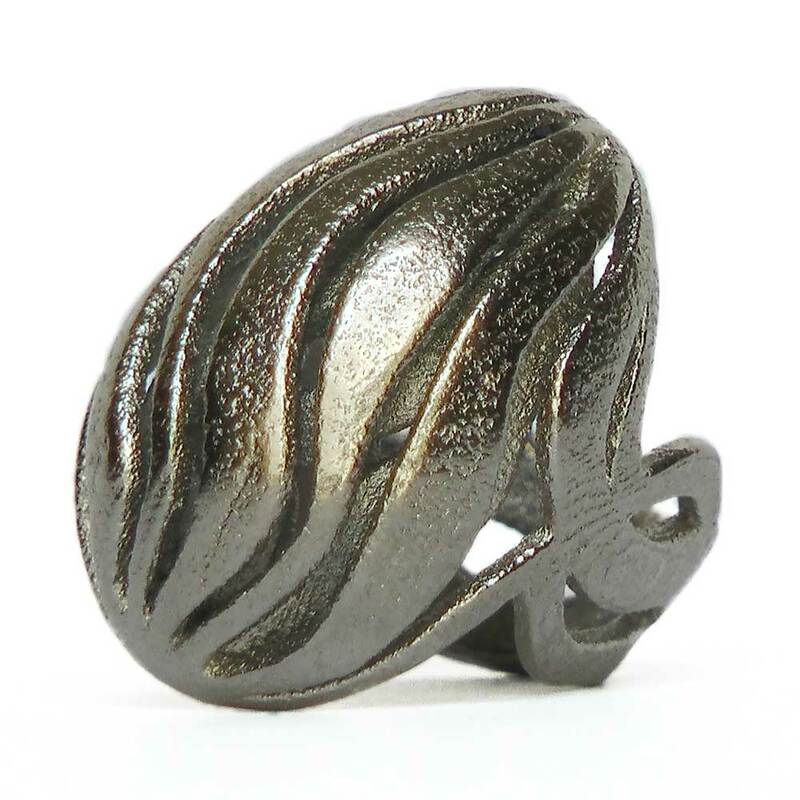 This one of a kind statement ring looks great with casual or formal attire. 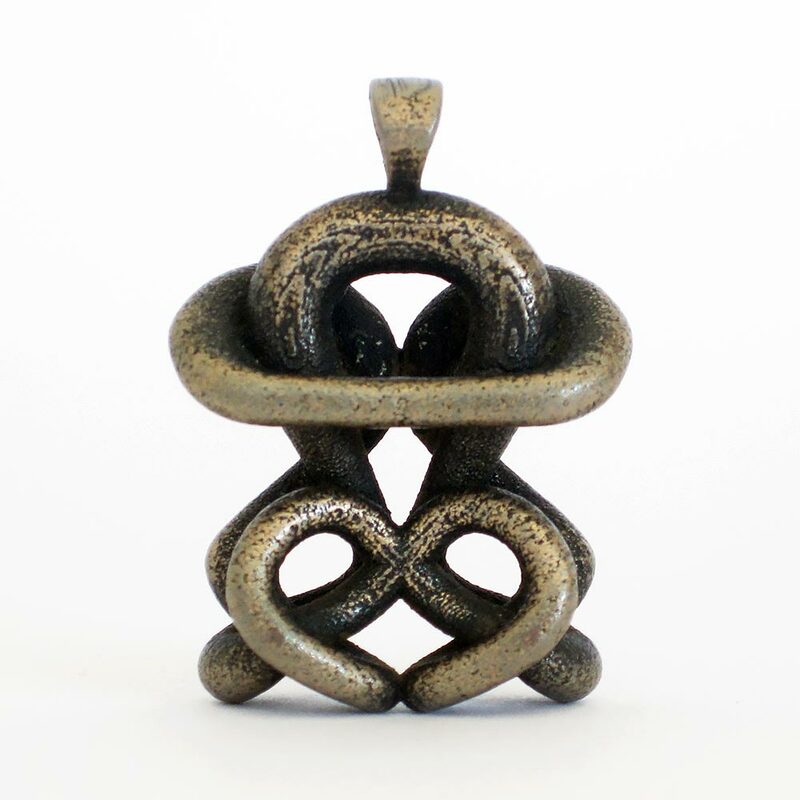 The Sloris One Infinity Pendant is a beautiful and one of a kind interpretation of the infinity sign. 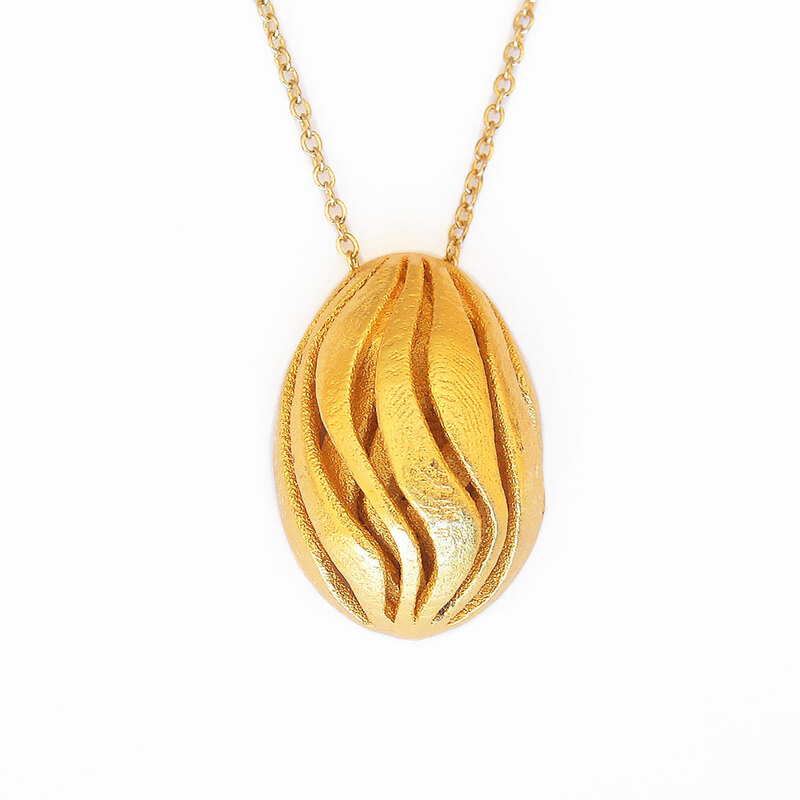 Add this unique statement necklace to your collection now. 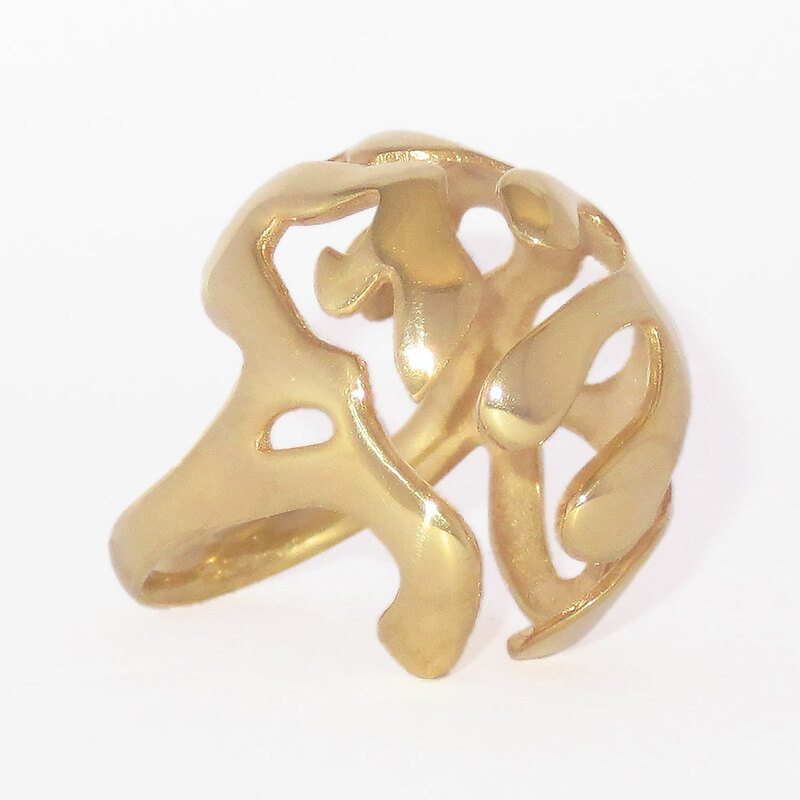 ‘Remains’ is a big ring inspired by the graceful twisting and turning of rivers. 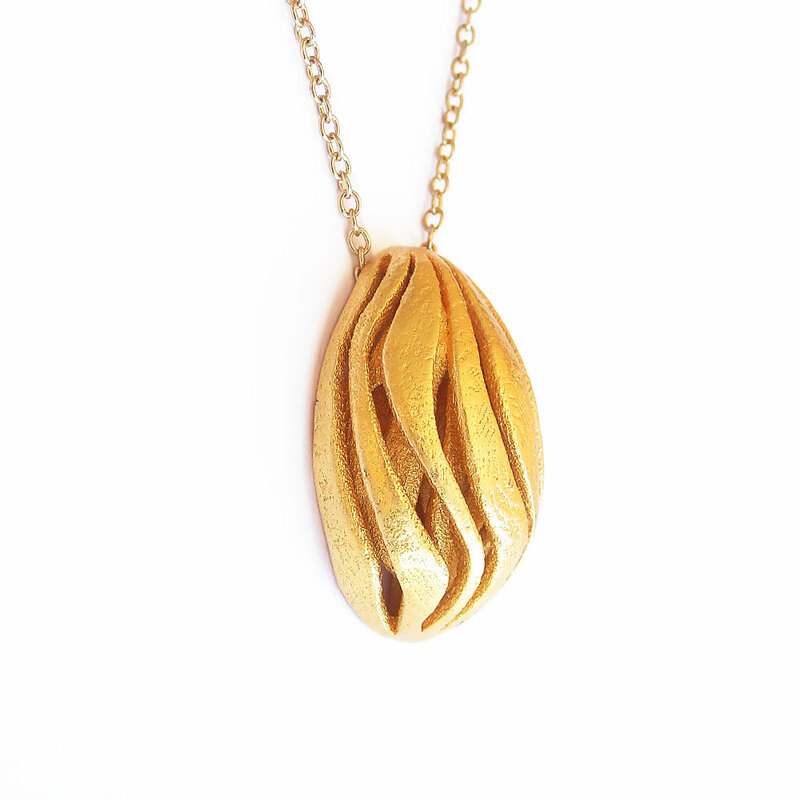 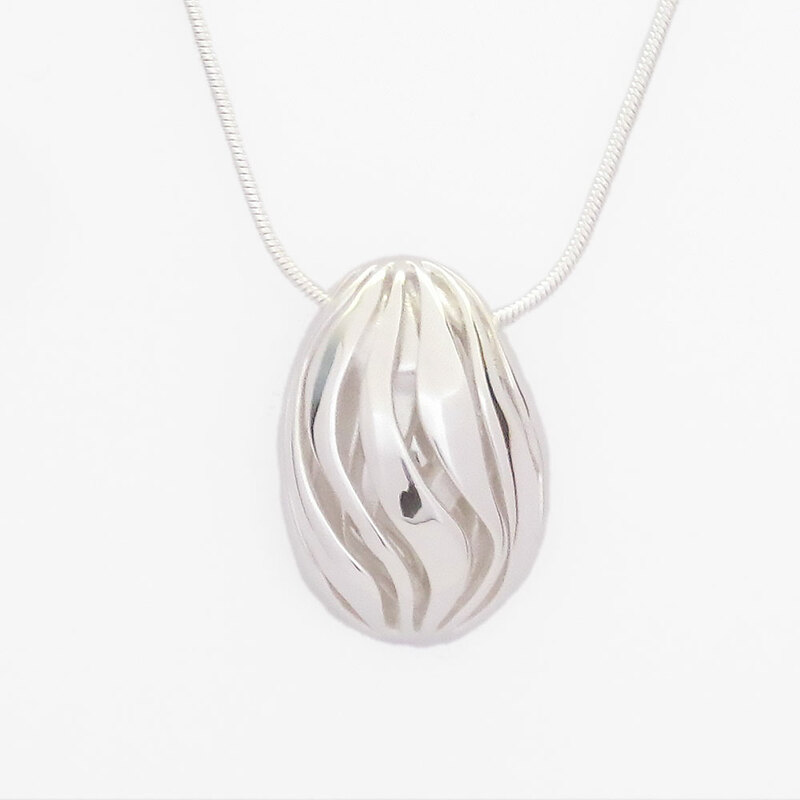 Add this 3D printed artist designed jewelry to your collection today. 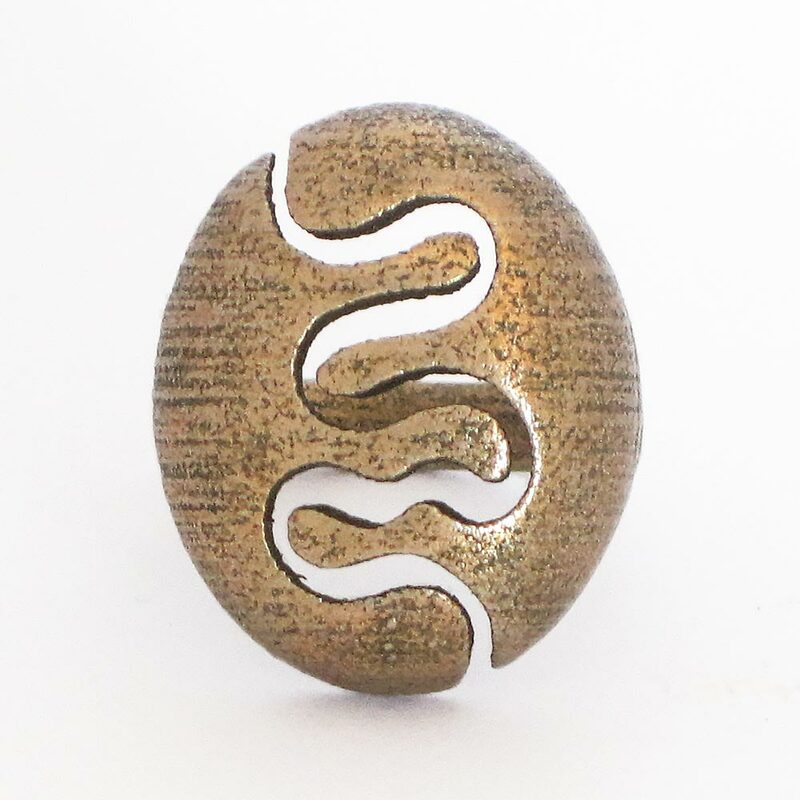 ‘Currents’ is a stunning wave ring composed of three layers that flow into a unique and comfortable band. 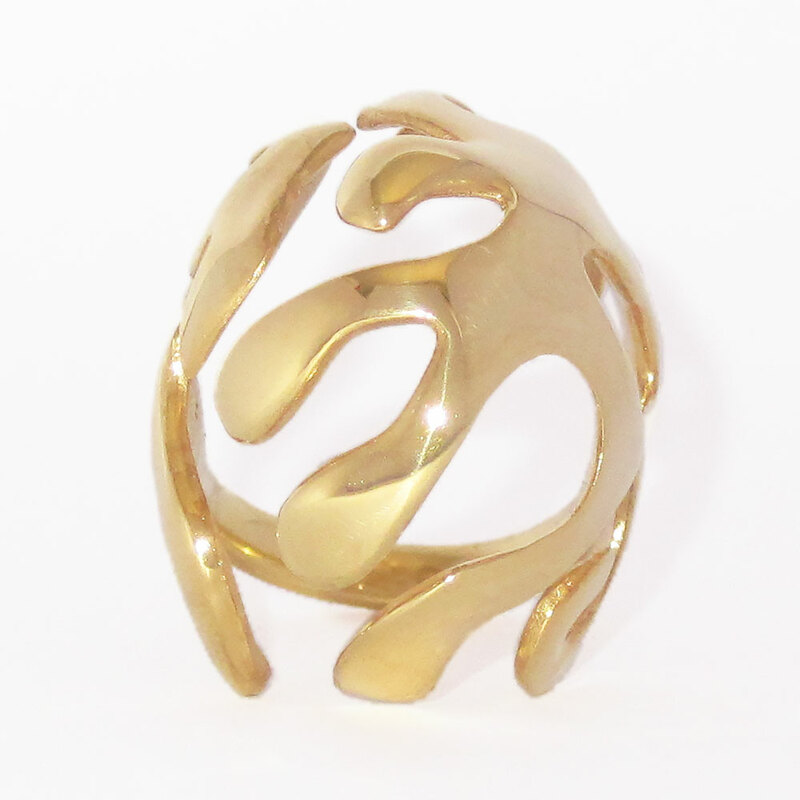 This big statement ring looks beautiful alone or combined with your other favorites. 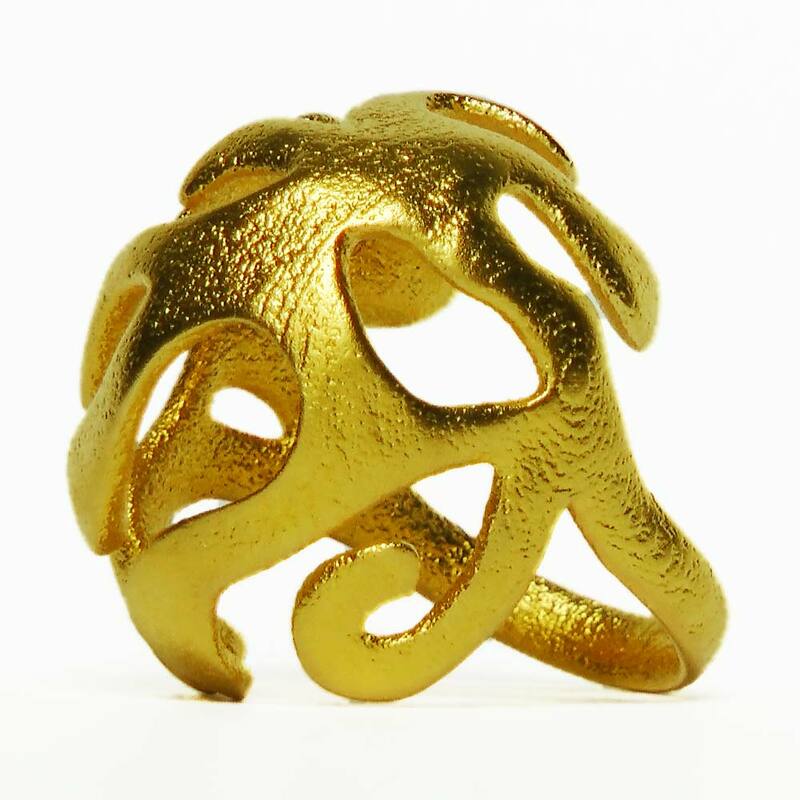 ‘Submerged’ captures the beauty of underwater forms and places it on your hand. 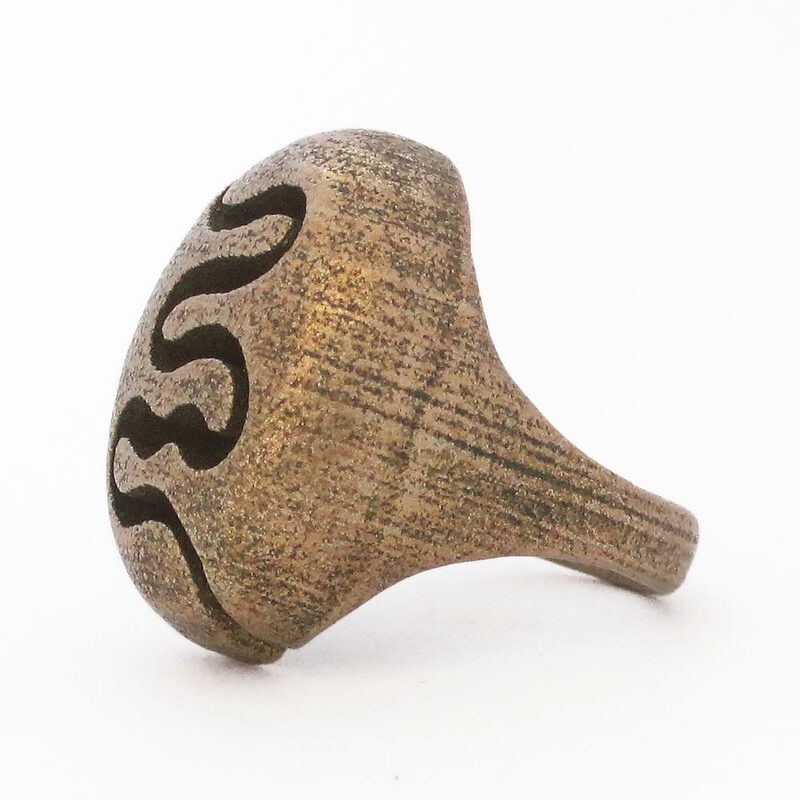 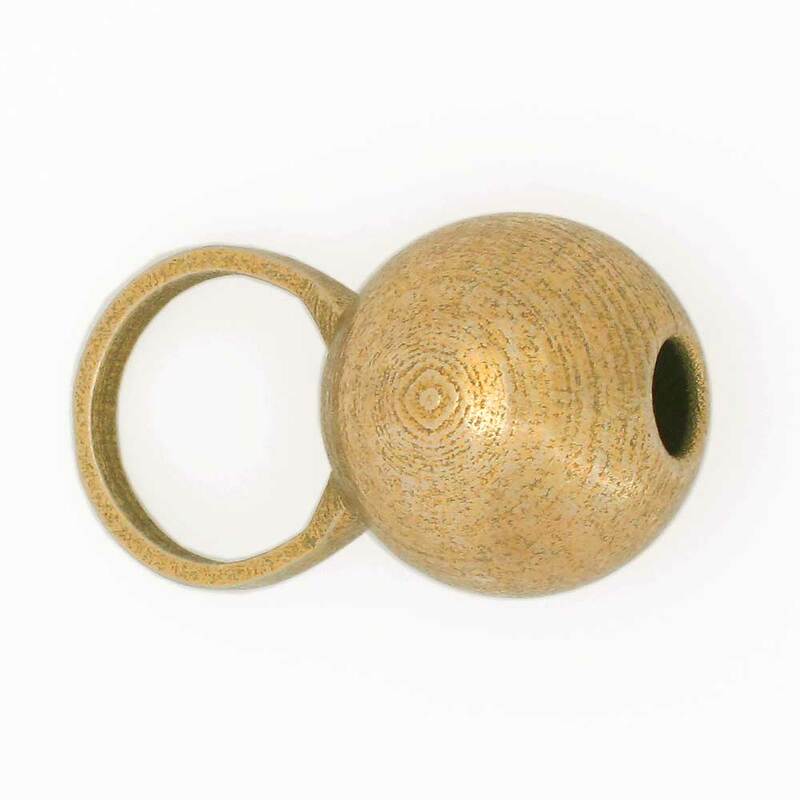 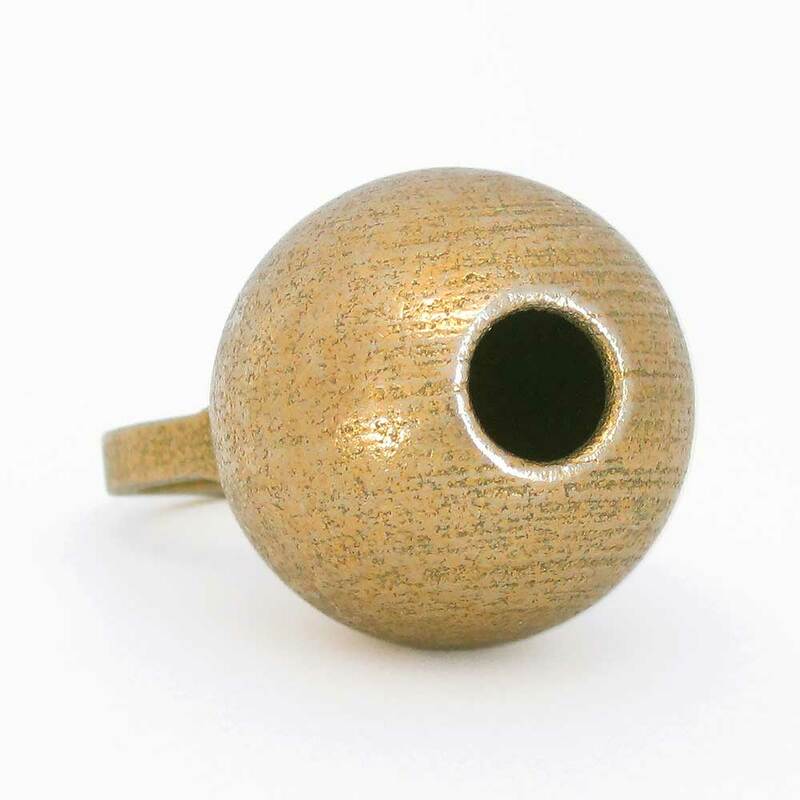 Buy this unique ring and add a beautiful natural accent to your every gesture. 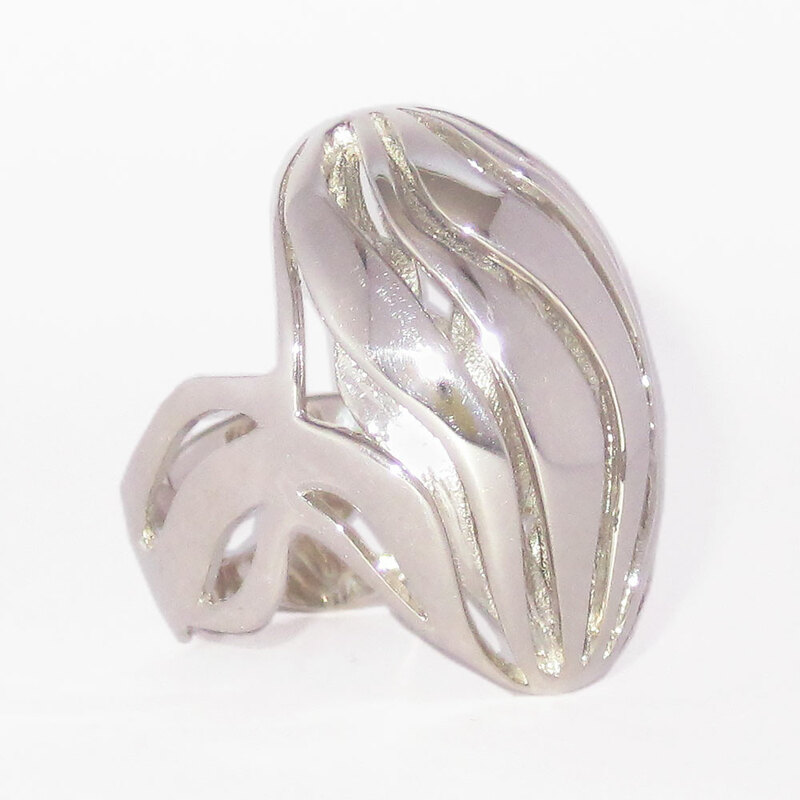 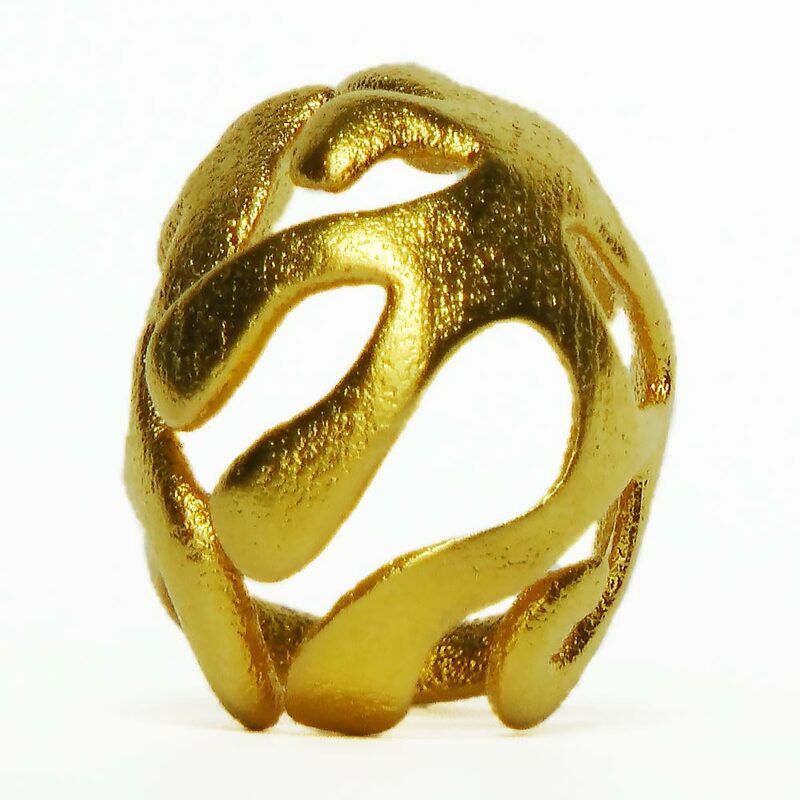 Our 3D printed ‘Negative Space Bauble’ is a bold and unique statement ring that looks great whether you're dressed up or down. 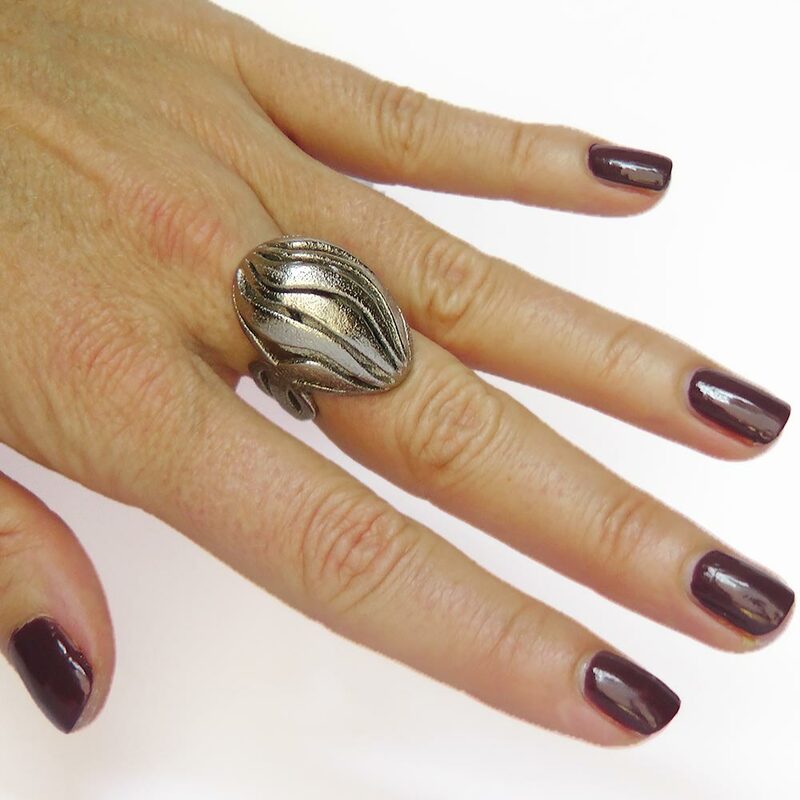 Wear this big ring alone or mix and match with your other statement rings.